This dish makes use of two commonly available and largely popular vegetables namely lady's fingers and peanuts. Lady's fingers ( more popularly known as okra in the US) is called " bhindi' in Hindi. 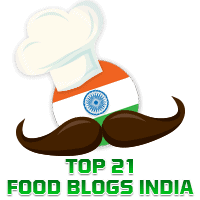 Elsewhere in this blog you will find other recipes using lady's fingers such as Bhenda Sagle from our Konkani cuisine, Crispy Bhindi Tawa Fried, and Bharwan Bhindi. We have always been fond of peanuts in my house. Therefore, it is not surprising that you will find several recipes using peanuts ( often called Groundnuts in India) in this blog, such as Verkadlai ( Peanut) Sundal, Peanut & Garlic Chutney, and Shengdana Kadhi. For best results choose lady's fingers that are tender. 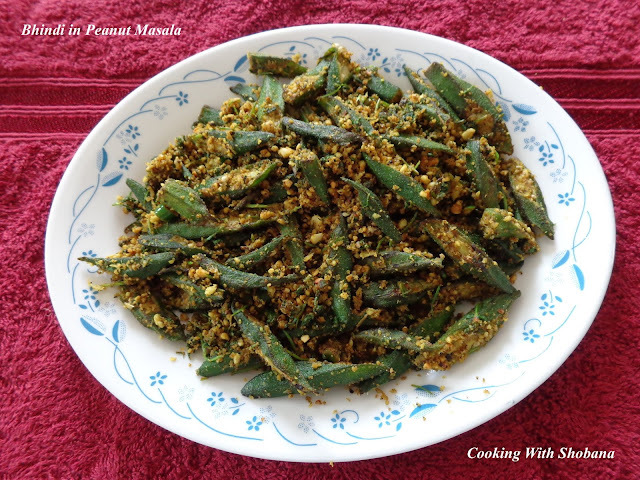 I have adapted this recipe from Bhindi in Peanut Masala by Tarlaji Dalal. I have added gur ( jaggery) to enhance the taste of the dish. We enjoyed this as a side dish both with rice and rotis. In a bowl, mix together the coarsely ground peanuts, coconut gratings, finely chopped coriander leaves, finely chopped green chillies, dried mango powder, coriander-cumin powder, gur, and salt.